Make Your House the Coziest Spot Ever in 2019 | Quinnair Heating & Air Conditioning Inc. If you are thinking about buying your first HVAC system for your home in 2019, you have come to the right place. At Quinnair we offer the best heating and cooling products, including reputable brands like Navien, Trane, REME, and more. Take a look at all the options we offer so you can make your house the coziest spot for years to come. During the hottest days of the year, you need an efficient and effective way to keep your home and family cool. When you choose Quinnair for your cooling needs, you have plenty of quality products to tackle those sweltering summer months. We offer Central air conditioning, evaporative systems, and mini-split systems for Colorado homes. Each system comes with its own set of benefits, and our certified technicians can find a system that will fulfill and adapt to all your needs. You cannot afford to have an inefficient or defective heating system. And, like in any other State, the right heating system is vital for your home in Colorado. There are many options to provide heat to your home, including furnaces and boilers. Our HVAC experts will help you pick up the best heating product for your home. 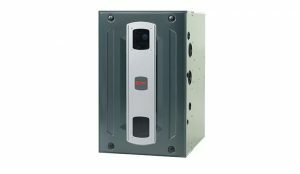 All Trane furnaces and boilers are here! To maintain the indoor air quality at its best, you can install a humidifier or an air purifier. These devices can be added to your existing or new mechanical system, which can significantly improve the overall environment within your home and increase your family’s comfort. We offer REME HALOS with Advanced Oxidation Technology. With our products, you will never run out of hot water. Plus, with the best products, there will be little to no energy waste so that you will keep your bills in order. 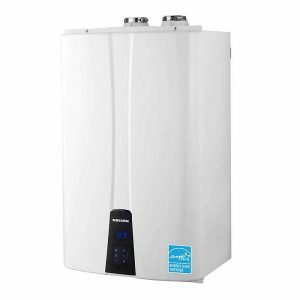 We carry different brands of water heaters, including A.O. Smith, Bradford White, Navien, Rheem, and Rinnai. Like a new car or home, your HVAC system is an investment in your future. Hire professional HVAC technicians to install, repair, replace and service your equipment. When you work with Quinnair, you will be getting only the best to help you have efficient, high-quality, and comfortable air in your home. 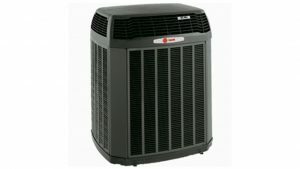 We use only the best HVAC products, supplies, and brands, like Trane, to help you keep your family comfy and healthy. If you want to make a difference in the quality of air in your house, contact us today!